Elton John Guitar Pick Earrings with gems! 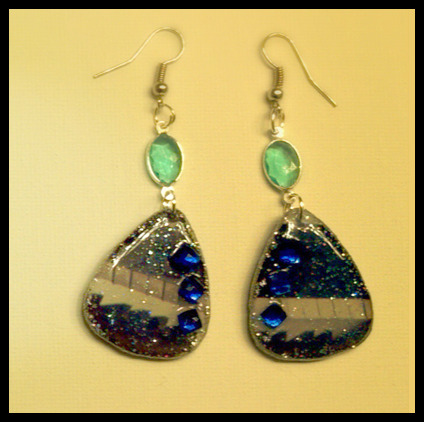 Made from Elton John's album "Here and there", these guitar pick earrings feature parts of the album cover. Pairs feature fine glitter, gems, jewels and piano keys--along with parts of Elton's outfit and a pick with his face. Jewelry cardboard backing is made from the record sleeve of the album. Fish hook style earrings.